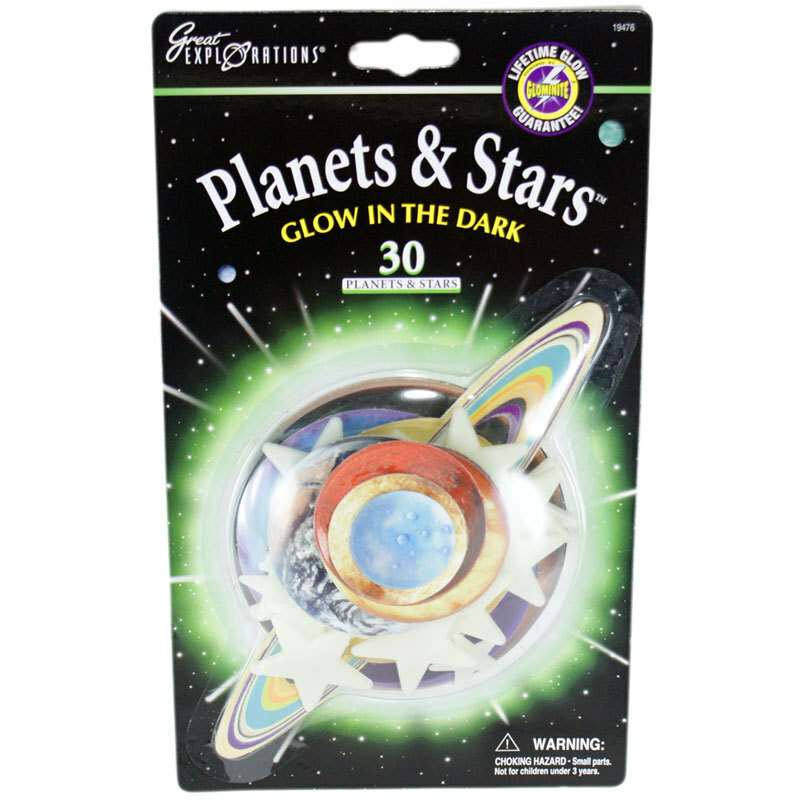 Glowing Planets and Stars | Glow in the Dark! Turn your room into your very own Galaxy! This pack contains everything you need to turn your room into your very own galaxy! Study the universe from the comfort of your bedroom. - 9 Cardboard glow-in-the-dark planets. - 21 Plastic glow-in-the-dark stars. - Space fun facts and instructions. 1. Apply a tiny piece of putty to the back of each planet or star. 2. Position each planet or star, then push firmly until secure. 3. Expose the planets and stars to light for one minute. 4. Turn off the lights and watch them glow! 5. To remove the planets and stars, gently rotate them until they come free. Please note: The putty is safe and reusable, but please do not use it on fresh paint or wallpaper. Approximate Star Sizes: 3.5cm and 2cm (from point to point). Box Dimensions: 23.5cm x 14cm. This lovely present was for my nephew who really liked it.